But u see both companies are very commercialised no matter what they say. But i saw ur review for Blossom Spring and hence i thought it would be good for you to do an independent review. By Cecil Lee, August 31, 2018 in What others say about us? 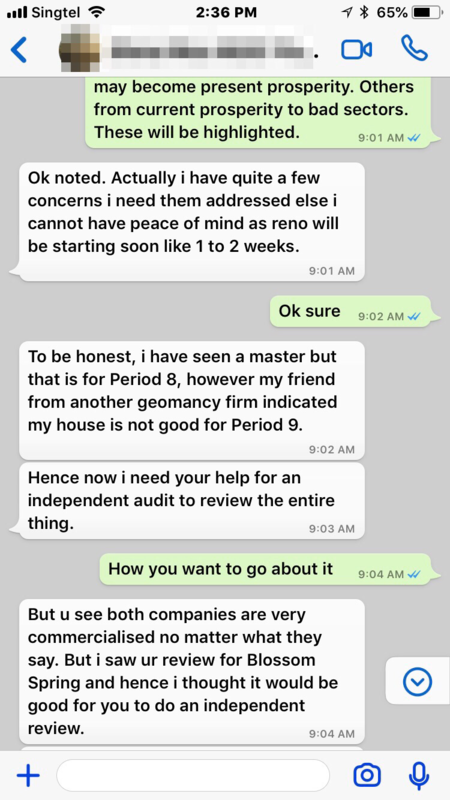 To be honest, i have seen a master but that is for Period 8, however my friend from another geomancy firm indicated my house is not good for Period 9. Hence now i need your help for an independent audit to review the entire thing. P.S. Many other so called Feng Shui Masters start fleecing their client with “Buy this... where to buy... buy them from me” And these rubbish commercial products ain’t cheap.